Please find below cargo web links of major airlines with airlines code number to track shipment. Urmila Babu : On 04 July 2015 I would like to bring my used home items like clothing, kitchen utensils etc from Singapore to Bangalore by air cargo. 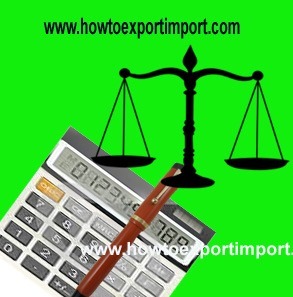 The agent in Singapore is prepared to arrange for them for a nominal fee., but cautions that it may be difficult to do the personal clearance of air cargo in the cargo terminal & must employ a custom broker. I would like you to help me in clarifying the procedures. Is the procedure difficult? Does it cost a lot? Is it worth bring the used items since I understand similar products could be bought new for that price. I am confused & so even after packing for the air cargo flight, my agent has strongly advised me to find out about this. Could you help? Kunhumuhamed: On 13 July 2015 I send my home items in June 12, 2015 by Al Badr Cargo Dubai to my Kerala address. So far I have not received the items. Al Badr Cargo saying there is delay in Delhi for clearing the itmes. Is it true. Now it is more than one month. Could you help me? Bedadyuti Chowdhury: On 15 December 2015 Hi, I have purchased an used Hohner accordion ( musical instrument) from a reputed accordion shop from Philadelphia USA. The consignment is being dispatched through USPS courier and the tracking number is CJ152691410US. However after it entered in Delhi recently the status is shown as " your item is being processed by the customs in INDIA", and the said status has not been changed for the last three consecutive days. In view of this do I need to pay customs duty? how long does it take to release such items by the Customs in India? 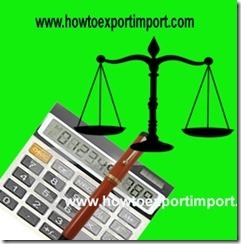 will the customs duty will be huge? the total cost of the instrument including shipping charge is Rs 61000/-. how long does it take to deliver the item to the ultimate customer? Please help.